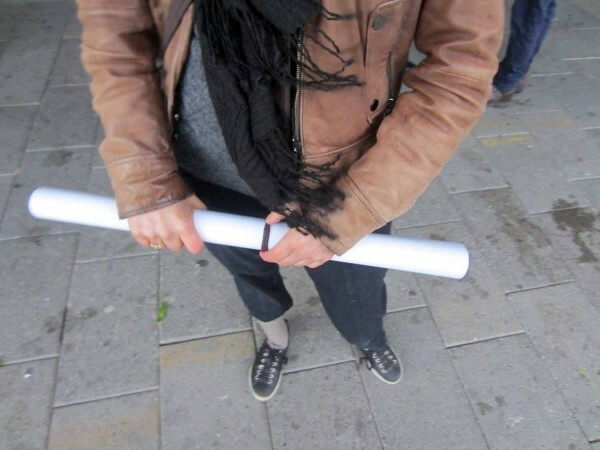 Collection, production and distribution of posters. It is an ongoing project with temporary and permanent appearances across spaces, somewhere between painting, graphic design and wild wallpaper. The collages are cut and paste on site, at times taking the full hight of the space, sometimes just splattered. The remaining posters are left on a shelf to be taken away and used somewhere else. 'And millions and millions' was initially developed for The Showroom, London in 2001. Tingbjerg Posters are the first collaborative version.